THE FIRST EVER TMAU SERVICE DOG IN THE WORLD! 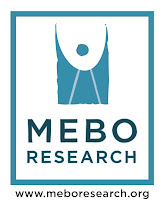 MEBO Research and Pawsibilities Unleashed, Pet Therapy of Kentucky, Inc., entered into a ground-breaking effort to develop the first ever TMAU Service Dog Program in March 2010. Where exactly this endeavor would take us was and still is uncertain; however, Liz Norris, Master Trainer, and I have had a strong gut feeling from the start that the powerful, odor-detection mechanism in a dog’s olfactory system could be of great service to sufferers individually and collectively, as persons whose lives have been turned upside down and brought to a completely hopeless standstill for years precisely due to the strong malodor emitted from their bodies. Stepping out in sheer faith with this gut feeling and believing that this program will provide our community with some, if only a few, answers, solutions, and a certain degree of hope, MEBO and Pawsibilities came together and launched the unprecedented TMAU Service Dog Program on March 18, 2010, when Liz donated our first 4-month old puppy, Vallie, to be trained for this purpose. If we think 'outside the box', we might just find new ways to better understand our body odor conditions in a more scientific manner with the loving help of 'Man's Best Friend. 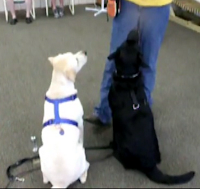 'Unfortunately, due to logistic difficulties in getting a handler to be able to attend the necessary training sessions in a timely manner in Frankfort, KY, Vallie was instead given to a diabetic patient who was able to attend the training sessions at the time. Nevertheless, Liz had another dog in mind for MEBO, and hence we now have Dray, our beautiful black Labrador. Dray immediately hit it off fantastically with his new handler, who has already made three trips to Frankfort, KY to train with him. Dray has been living with his new handler for the last month, since April 19th, and both handler and Dray have been growing in leaps and bounds together in their learning process of becoming a TMAU Service Dog and his handler. This week (5/11-5/18/2010) we got our First, "Alert" on Dray's own. [His handler] walked into room with the TMAU urine scent pad in a pocket. She gave no commands and went on about her business. Dray got up, came straight to the pocket and indicated on it.....gave her a, "High 5". It was his first, "drive by" alert. In other words he took it upon himself to come to the scent, (with no command) and gave the, High 5, which means, I found the "T" [TMA] scent. Awesome progress in short time frame. This was his first automatic, "Check me". Test Results show he can find the "T" scent 100% of the time in a room, no matter where you have it. Dray will walk by the scent articles and do Non-Alert on the Normal Urine Samples. Dray will, "indicate" on the TMAU urine scent samples and High 5. What this proves: Dray can pick out a, "matching theme scent" that runs thru all the TMAU people. Which means he should be able to take a scent sample of someone's urine, compare it to a, "normal" urine sample and tell you if either has the TMAU scent...which means he can diagnose TMAU from urine scent sample. Teach Dray to, "Check me"
TMAU scent he will indicate and do the Alert sign. Teaches him this is his job and he needs to constantly be aware of and monitor your body scent for any changes, no matter how subtle. We have received a great deal of support for this program from our community of sufferers through donations as well as from our experts, each donating in whichever way they can. The aliquots of urine have been acidified and are 3 ml each (the last one I pipetted is less and is marked). They are from a patient with clear TMAU who had taken a choline load. The creatinine is 93 mg per deciliter, which means that it is a fairly concentrated urine. The TMA is 910 micromol per mmol creatinine and the TMAO is 133 miromol per mmol creatinine. This works out to about 7.5 millimolar TMA, which is hundreds of times higher than normal. 1. How does one teach a dog to distinguish the TMA smell in the urine against all the others? Dogs can separate one odor into all its components. We smell beef stew, they smell potatoes, peas, carrots, etc. Other ways to test for this: TMA can be collected not only in urine samples but also in saliva, perspiration, and other body secretions. The Service Dog will still detect TMA from other odors in these secretions. 2. I worry that the urine I gave you has really high levels of trimethylamine, and it may be a lot different for the dog to pick up on a sample of that urine (even diluted) than it would be for the dog to identify the smell on a person. 3.There is probably a certain threshold level in the air that makes the difference between no people noticing and a lot of people noticing, and I have absolutely no idea what that threshold is. These questions point out how a TMAU Service Dog Program has challenges other types of SD services don’t have to address. When an SD alerts his diabetic handler to a high sugar level based on a scent the dog detected, the only concern is that the diabetic person needs to take his medication. There is no concern about whether other humans in the room may also detect the same scent. However, in the case of a TMAU SD alert, the handler is very much interested in the perception to this scent by other humans in the room based on their respective olfactory sensitivity. As our expert questions above, at what “T” level can we say that the sufferer’s odor is detectable to most persons in the room? Perhaps as we proceed with this program, Dray can help us get a better picture. We shall most certainly try. NOTE: A TMAU Service Dog’s alert is not intended to replace the need for TMAU testing and diagnosis by a professional laboratory and medical professional any more than a Diabetes Service Dog’s alert is intended to replace medical attention for a diabetic. An SD’s service is intended to complement the physical and mental health treatment provided by professionals, not to replace it. Once Dray is fully trained in all his “T” alert services, there are so many wonderful exploratory studies that can be done, such as to observe his response to the same urine samples provided to the lab for comparison and documentation’s sake. Would he alert to acceptable (normal) or borderline levels of TMA in the urine, according to test standards, as he would to high levels of TMA? Can we train him to modify his response to low "T" levels to be different from his response to high levels? Liz believes he can be trained to do this. It would also be interesting to document his response to a saliva sample as compared to his response the urine sample collected at the same time. This very basic observation and documentation of the dog's behavior would be ground-breaking 'uncharted territory'. Dray's performance would have to be studied and recorded in a more scientific manner in order for our scientific and sufferer communities to get the greatest benefit from his great olfactory gift. This process will establish a good foundation upon which to build in order to offer the most effective service to a sufferer on a personal level and possibly to scientific research. In the end, once the dynamics of a TMAU Service Dog is perfected as much as possible, we hope we can move on to also train him to alert for other types of body odor. Liz tells us that a dog can learn up to approximately 300 commands. They can probably detect scents that we humans can’t even identify and don’t even know exist. Perhaps in time, as this program matures, an SD might serve as a ‘screener’ in a meetup, giving feedback to those sufferers who ask him about the type of odor they are emitting, if any. This information might be useful for a researcher or a physician to determine which tests to begin with or which diet might be appropriate. Perhaps by conducting a study comparing a group of sufferers sharing a similar body odor to another group of sufferers sharing a different body odor as identified by an SD, it would help scientists better understand the various causes of uncontrollable body odors. This really is amazing and proof of how a "thinktank" idea or a "brainstorm" can turn into reality. Congratulations!